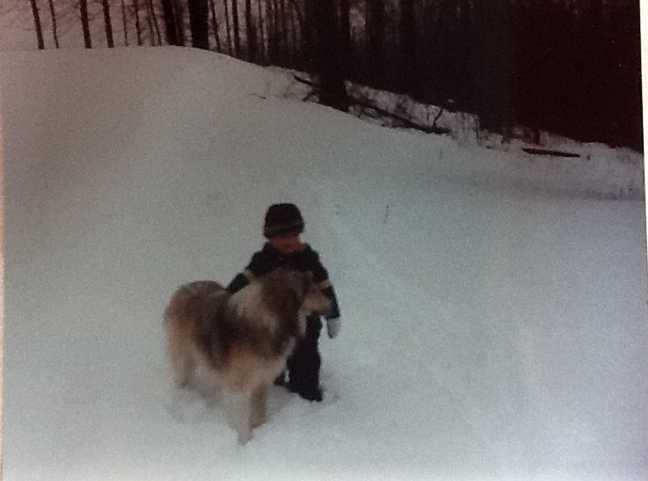 This is me at about the age of three with Bull, my dad’s unregistered collie. He had drop ears, and his sable actually changed colors as he aged. Where he was cream and brown here, it all turned light steely gray. We had one just like him, except ours was all tawny with just a narrow white blaze. Ours was named King.